The Lutheran Monastic Community in Enonkoski. Finland invites artists for modern icon workshop in the spirit of reformation 20th – 31st August 2016. Lutheran Icon is the thematic project of the Enonkoski Community marking 500 years of reformation in 2017. The project will consist of icon workshop at the monastery during summers of 2016 and 2017, modern icon exhibitions in art galleries and churches in Finland, and elaboration of theme of visual aids to devotion in modern Christianity in communication of the Enonkoski Community. The project will be carried out in ecumenical spirit opening new perspectives for mutual understanding between Christian churches. The Enonkoski Community will invite maximum of five artists to participate in the workshop providing full board and materials package. 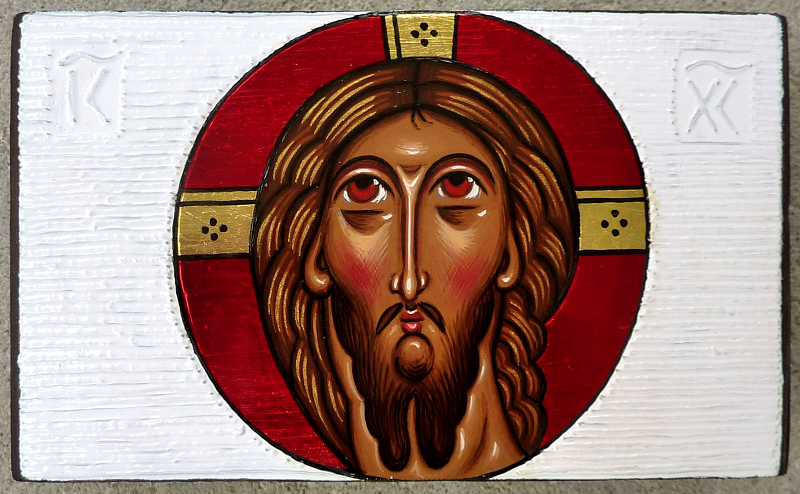 As compensation, monastery will obtain completed modern icons to be displayed in the monastery, exhibitions and used in communications (the artist is to be fully credited for authorship). To be invited, interested artists are should have mastery of skills and experience of icon painting and send an invitation containing short CV, commentary of reasons to attend and a sample of own work. Application can be submitted in electronic form my email or mailed to the monastery 28th July 2016 the latest. The workshop will be organized in collaboration with artists from the circle of Międzynarodowe Warsztaty Ikonopisów w Nowicy = International Iconography Workshop in Nowica/Poland. See also their facebook page. Our partners in the project also include Polish iconographer Anna Makać, Scottish-Polish artist Basia Mindewicz (Edinburgh School of Icon Painting) and Sviatoslav Vladyka (Association of Sacred Art, Lviv, Ukraine). The workshop is made possible with the financial support of Church Council of the Evangelical Lutheran Church of Finland. It is up to the participating artists to reflect upon the theme of the workshop, seek inspiration and set goals to own work. As a starting point, discussion concerning the role of sacred art in facilitating spiritual introspection, contrast between traditional iconographic tradition and modern ways of expression and potential of new techniques, modern spirituality and visual communication of religious experience. The spirit of reformation means that we go back to the roots to find the renewal of the spirit to reflect the realities of contemporary Christians through modern icon. The workshop program will consist of ”Reformation of the Icon” seminar, excursion to Orthodox Valamo Monastery in Heinävesi and visits to sights in Savonlinna region: Including worlds largest wooden church in Kerimäki and Olavinlinna medieval castle and steamship cruise in Savonlinna. Some eight days will be reserved for artistic work. More detailed program will be published by the beginning June. During the workshop at the monastery, the monastery daily routine will be followed including three to four daily services in the Chapel of Holy Trinity at the monastery and Lutheran mass or service on Sundays in the monastery chapel. It is also possible to take part in the workshop as a guest pursuing independent project. Participation fee for the whole workshop for guests is 400 euros containing full board. Fee for materials package will be 50 euros. Modern icon exhibition. VII Międzynarodowe Warsztaty Ikonopisów w Nowicy 2015( VII International Iconography Workshop in Nowica/Poland) – exhibition in National Museum in Lviv/Ukraine ——– photos by Anna Makać. Participants who have opportunity to use mobile home for accommodation are kindly requested to consider that possibility and notify the organizer when registering for the workshop. During excursions everyone pays own personal costs and cost of transportation by car will be shared by participants. Additional services in the monastery will be charged according to price list. Participants will bring their own bed linen. Bed linen are also available in the monastery for 6 euros/set. Because we expect to work in international spirit, participants are encouraged to bring along bible, prayers and songs in their own language or English to be shared and used in services during the workshop. Participants playing musical instruments are also encouraged to bring their instruments with them for serving the community. In the monastery there is a simple electronic keyboard at disposal.